Last post was about homemade fabric finish for pressing…starch. Just want to add that I am into my second bottle of “Quilter’s Moonshine” and it is going well. NO stickiness on fabrics or the iron! NO smell! NO problems! I DID, however, go back and add more starch than the recipe calls for. I poured it all back together and added about 2 more tablespoons of starch. I think this is about preference. I suggest you start with the recipe, as is, and go from there. Back to my sewing…and pressing…for now! As mentioned in my last post, quilting has become one of my very favorite pastimes. One of the new skills I have been working on is foundation paper piecing. It creates perfect points and is like working a puzzle (something else I like). Well, it is like working a puzzle only backwards! There are many tutorials available online (linked here is a free tutorial from Craftsy), so I am not going to try to teach you anything new here, just give you a few pointers and hints from my growing experience. Start with a simple pattern! Getting the hang of when to place the pattern and fabric right side together or not is the first thing to understand. It requires that backward thinking at first…at least for me. Again, this link (Craftsy) is a very simple straight-forward and basic pattern. You can find lots of free patterns online too. Check out Pinterest. Selecting solid fabrics can help. In the beginning, selecting solid-colored fabrics will help, as it makes no difference about right side out or in. That said, you will still have to learn to deal with prints at some point, so perhaps mix in a couple of them in your early work. More on fabrics…be sure to use preshrunk cottons. If they shrink after the fact, or even as you press them, you will be very unhappy. Don’t try to scrimp on the fabric too much…especially when you are learning. I hate to waste and I am cheap, but it is very disappointing to find that you have stitched your seam and the fabric does not cover the area required. You will get better as you practice! Then you can try to save! About specialty fabrics and fussy cutting…this is fun and works on many paper-piecing patterns. However, be sure to THINK and rethink your plan and placement. I find that the first piece is the easiest to fussy cut. When you hold your pattern and fabric to the light, you will easily be able to see where your design will fall in that first section. Learn to LOVE your seam ripper! That sounds intimidating, I know. I hate to rip out and would often prefer to start over, but you will very likely make some mistakes. I would hate to think that I am the only one! In order to avoid the seam ripper though, think before you stitch! You have heard “measure twice, cut once”…well, this calls for hold it up, look at it three times, fold it back to get a rough idea, think again, then sew. Speaking of sewing those seams…a tiny stitch is recommended so that the paper will be perforated well and tear off easily. I use a setting of 1.5 on my machine. That will vary with different machines, but that trusty seam ripper barely fits into those helpful tiny stitches. I have tried other longer stitch lengths and the smaller ones do tear off more easily. However, I suggest that you start out with a bit larger stitch in the early stages and go smaller as your confidence grows. More about the seams…most quilting directions do not encourage you to back stitch at the beginning and end of seams. This is just my opinion (and I don’t always do it), but if you secure the beginning and end of the seam with a fix stitch or even one back stitch, it can help when you tear off the paper. You see, the tearing process can cause some of your stitches to come out and when you are working with 1/4″ or scant 1/4″ seams, there is not much room for error. It also bears consideration about the possibility of ripping out…securing the ends of the seams can make that more difficult too. On more detailed patterns, some of the seams might only be about 1/2″, so if you lose any of those stitches, your seam is almost gone! More on seams…trim as you go. Where the layers build up the project can get quite thick, so carefully trim your seams to 1/4″, as you go. CAREFULLY! Again, this is backward thinking, so don’t cut off the part that will fold back to be the finished pattern! I have done it! That requires ripping out AND redoing! About the paper. I can’t tell you much here. Let’s face it, as I said, I am cheap, so I use printer paper. It IS thicker and does not tear as easily. You can purchase special papers for this at around $10 per pack of 25 sheets. I will probably do that the next time I can take advantage of a sale. Some quilters mention using freezer paper. The more detail in the pattern and the smaller the pieces, the more this matters. How to finish these items? I am getting a collection of paper-pieced goodies and have not decided what to do with them yet. They can be used in any way you would use fabric. They are typically quilted…think blocks, wall hangings, table runners, place mats, hot pads, mug rugs…the list is endless. If you are particularly crafty, you might use them to embellish bags, clothing, and more. Finishing with some simple hand embroidery is also fun and adds interest. Another saying that applies here is “slow and steady wins the race”! If you are considering trying foundation paper piecing, I do encourage you to give it a go. It is fun and once you get it, you may be just as hooked as I am! Have you already tried it? What was your outcome? I have wondered about Paper Piecing for a while now, but frankly, could not get my mind around it. When I saw the pattern for the safety pin, Safe With Me, I knew this was the one I wanted to try and so I delved in. First, let me thank Craftsy and The Night Quilter for providing the free pattern. I consider myself to be pretty crafty and a good sewist, since I have been sewing for about 50 years! That said, paper piecing took me some serious thought and this pattern is not exactly the easiest one to start with. After watching a couple of tutorial videos, I decided to just go for it. I am happy with the result. I love the white pin, signifying purity of heart and thought to me, and the bright Kaffe Fassett print, the colors representing the wide variety of people that the new (to the USA) symbol represents. Choose a simple pattern to start with. Print your pattern on light-weight paper, if you can. As with all new things, give yourself permission to learn. Rome was not built in a day! Take it slow and steady. Think about the process. #3 above only came about because I got in a hurry and thought I had it all figured out! Slow and steady wins the race! So here’s to trying a new project! Stretch yourself in different ways. It will expand your horizon! It is definitely wrap-up day and I am feeling PRETTY good about my situation as we start 2018 tomorrow. I have cleared out a lot of stuff from my stash…and organized it…AGAIN! Many of the bloggers I follow are posting their plans for 2018. I am behind that curve, as I have just resumed blogging and reformatting the site, etc. takes time. Today, I am going to repost anything that pertained to quilting in the past. That way, I will be able to find it all easily. 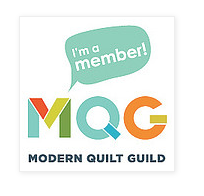 Sorry if this seems redundant to you followers, but it is just part of the regrouping…and not many of my current followers are quilters anyway. This is a fact I hope might change in 2018! Above are some of my finishes for 2018. If I plan to blog regularly, I will have to get better at getting photos (and better photos, at that) of my progress and completion! So, 2017 has come and gone and my stats for blogging are not so good! I had thought I was going to let it go and just use my Instagram account for keeping up with things. Welllll, I changed my mind and I am going to give it one more go in 2018. I plan to limit my posts to things about quilting, so there will be some changes coming up. If you were following for photography, personal insights, etc., you may well want to unfollow me. I get that, as I will be doing some of the same. No offense intended. I just have to get some control over my time! I will keep the name “Facetfully”, as I use that for Instagram and I think quilting does involve many skills, a variety of styles and items, and all colors, etc….thus I still aim to be fully faceted! 2017 has been fun and I have honed some skills, with much more to learn. I have many UFOs and WIPs plus many…too many…things I want to do in 2018! So…hear’s to the new year and my attempt to blog about my quilting. Follow me on IG, if you are interested, as I will likely post more often there.